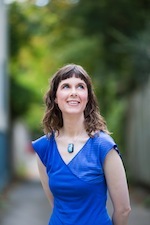 This interview was conducted by Tanya Kuzmanovic. Check out Tanya’s blog, Pencils and Popcans. The inception, writing, and publication of The History of Hilary Hambrushina has been about a twenty-year process for you. What sorts of updates did you have to make to the story in order to fit it into the context of the present day? The most important update was the introduction of an online aspect to the bullying that one of the characters experiences. The ubiquity of the Internet and cell phones means that most bullying, especially by teenagers, now contains, or at least has the potential to contain, an online aspect. So not including such a component would have dated the story. Most of the other changes were small and involved updating references to technology, such as referring to a DVD player instead of a VCR. The early drafts also talked about two sisters, one a twelve-year-old and the other a seventeen-year-old, fighting over the use of the family landline phone. While I think it’s believable that a twelve-year-old might not have her own cell phone, today most seventeen-year-olds in Canada have their own phones. So I changed the source of conflict to something different. Otherwise, I didn’t feel the need to modernize the story. The themes dealt with are enduring and will speak to today’s readers the same way they did to readers twenty years ago. Themes of bullying, friendship, and self-awareness (to name a few) appear throughout The History of Hilary Hambrushina. How do you feel you have specifically strived to set your story apart from other YA novels that portray similar themes and issues? I strived to broaden the examination of the major issues. For example, the depiction of bullying features not only incidents from the lives of younger characters but also glimpses into the experiences of older characters (mothers and grandmothers). The role of schools in tackling bullying is also addressed. As well, I tried to give Hilary, the narrator, a distinct voice and cultivate a strong writing style that includes humour and the use of original similes. Finally, the novel examines other important themes, such as mother-daughter relationships and the development of young writers and artists. Hence, the story is not just about what happens at school but offers a wider perspective on the lives of tweens and teens. 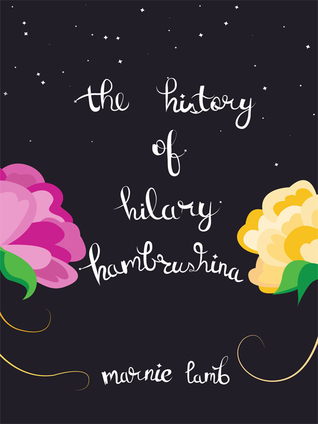 What major changes and/or omissions did you make to The History of Hilary Hambrushina when looking at its earliest drafts compared with the currently published YA novel? The first draft was actually a forty-eight page “short” story. That story’s ending was simplistic and Pollyannaish. Without giving too much away, I can say that the current ending is hopeful yet realistic. The first draft of the novel contained a chapter that dealt with the resolution of one of the relationships in a way that undermined the growth of a major character. My MA thesis supervisor at the University of Windsor, the late Alistair MacLeod, advised me to delete this chapter, which I did. The early drafts of the novel also included a chapter in which Hilary and Kallie visit a historic house in Toronto. While interesting, the chapter didn’t advance the plot, so it was jettisoned, too. Finally, in one post-thesis draft, I introduced an anorexia plot. Based on the feedback of a publisher, I realized that this plot made the book too complex and unwieldy, so I deleted that storyline. Based on one of your earliest drafts of The History of Hilary Hambrushina, it was important to you that the story unfold from a tween’s perspective. What steps did you take to ensure that this tween voice was believable and accurate? The main step was to share the early drafts with readers and solicit their feedback. My first readers were the students in my MA creative writing seminar and a couple of professors in the department. One of the students in the seminar also had a teenage sister, who agreed to read the draft. Everyone who read the story felt that the voice was believable. Several years later, I had the manuscript evaluated by a publishing professional. Voice was one of the categories addressed, and the evaluator, too, thought that the voice sounded authentic. Aside from this feedback, I read several Canadian YA novels to get a sense of how other authors have handled a teenage voice. Based on that research, I felt that I had created a voice that was both believable and original. What advice do you have for writers in terms of dealing with favourable and/or unfavourable reviews of their published work? I think the only downside of too many favourable reviews is that they might swell your head to Brobdingnagian proportions. However, I once read a quotation by another writer who stated that bad reviews usually have a more profound impact on a writer’s psyche than do good reviews. So I think that the risk of an inflated ego is Lilliputian. Bad reviews, contrarily, have an acute and a chronic downside. Ideally, you should avoid reading negative reviews of your work. Realistically, most of us will probably be too overcome by morbid curiosity to bypass those early one- and two-star critiques. And that’s fine up to a point. Indulging your curiosity about bad reviews is a part, albeit a painful one, of the writing journey. But dwelling on the negative is a sure path to self-doubt and anxiety. So after your curiosity is sated, redirect your energies to the positive. Share your heartache with compassionate, supportive people who are good listeners, will let you rant, and won’t shell out that useless advice, “Don’t worry.” Keep copies of positive reviews and reread them when you’re feeling down. Most importantly, take breaks from your book. Detaching yourself from your art can be very difficult. But you are not your book. For your own emotional health, you need to separate the two.